The annual meeting of the membership of the Waite Park Rifle Club will be held on Saturday, February 9, 2019, at the St. Cloud Eagles Club, 730 41st avenue north, St. Cloud, MN. Note the new location! Dinner will feature chicken and ham and will be served buffet style. Cost for the dinner is: $11.00 per plate. A cash bar will be available. The social hour will begin at 5:30 PM with dinner to follow at 6:30 PM. The meeting will follow at 7:30 PM. The door prize drawing will be at the end of the meeting. After the meeting there will be a short safety presentation for those wanting to renew their membership and exchange keys. A signed copy of the waiver of liability and indemnification will be required. A sample of the waiver is attached after the league schedule for your review. An explanation follows. Number 1. Each club member must sign a waiver of liability and indemnification. A copy of the waiver will be available at the annual meeting and key exchanges. New keys will not be issued until this signed document is completed and on file with the board. Number 2. The board increased the club liability policy from $1 million to $2 million. The additional cost for this coverage is approximately $1,000 per year. Election of board members will occur after dinner. Brian Chesney, who was appointed by the board following the resignation of Bruce miller, is a candidate for election. Current board members, Steve Studanski and Dan Knoll, are candidates for re-election to their respective board positions. If you would like your name placed on the ballot, please contact one of the board members. February 10, 2019. The range gate and building locks will be changed. Saturday March 16 at 10:00 AM and 11:00 AM. Each of these meetings will include the brief mandatory training before keys will be issued. April 15, 2019. Membership dues must be paid. After this date membership will be open to new members. Location: St. Cloud Eagles club. New members must present a valid MN permit to purchase a handgun or valid MN concealed carry permit at this time. Saturday May 4, 2019, starting at 9:00 AM. We have 500 items of vegetation to be planted so your assistance will be needed and appreciated. Remember that you can deduct 50% of your membership fee by volunteering 5 hours of time to assist with range activities. Second Sunday of the month from June to October. Hours for each day will be noon to 4:00 PM. Three RSOs are required to be at the range for each guest day. We thank our members for making 2018 a very safe year at our facility. But please remember that it takes all of us to preserve our ranges and keep them safe. Safety is always first and foremost. Hearing and eye protection are required for everyone. I.Current Member. The undersigned is a current Member in good standing of the Waite Park Rifle Club (“the Gun Club”). 2.Waiver. The Gun Club is allowing Members to bring, set up and use, personal steel targets which must have a smooth face and no pockmarks or craters, at the Range. 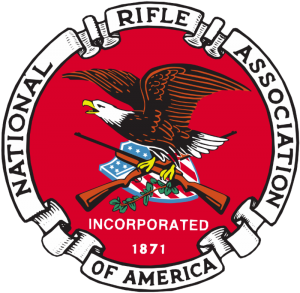 Because the make-up of these personal targets is uncontrolled and they pose significant potential dangers to the undersigned and to others at the Range and possibly outside the boundaries of the Range, I understand and agree that the Gun Club and its Directors, Officers, other Members, agents, representatives and assigns will not be responsible for any personal injury or property damages resulting to me or others from my use of these types of targets at the Range. Therefore, I waive any and all liability; past, present and future, that I or any of my family members, assigns, representatives, agents) or heirs may have as a result of any personal injury or property damage which I or my family members may suffer as a result of the use of any steel targets. 3.Indemnification. I further agree to indemnify and hold harmless the Waite Park Rifle Club and its Directors, Officers, other Members, agents, representatives and assigns, and any insurance carrier who provides coverage to or for the Waite Park Rifle Club, from any and all personal injury, property, or other damage or harm which may result from my use of steel targets at the Waite Park Rifle Club Range. Dated this ______day of _______________, ___________. DINNER ATTENDANCE FORM – PLEASE FILL OUT AND RETURN WITH PAYMENT BY JAN 23, 2019. DO NOT INCLUDE YOUR MEMBERSHIP DUES. IT CREATES A BOOKKEEPING NIGHTMARE. Pay at the key exchange. There is a brief mandatory training requirement this year. AMOUNT REMITTED: ($11.00 per plate) —————————.